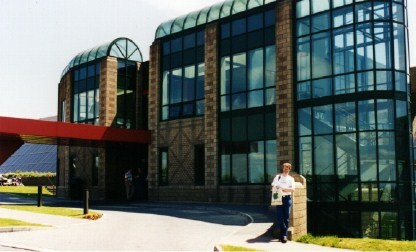 About the visit to the factory I wrote an article which was published in a (then) new Dutch magazine for Macintosh users called MacFan. There is a Dutch and English version available online. To conclude this page, here are two other pictures from my vacation. 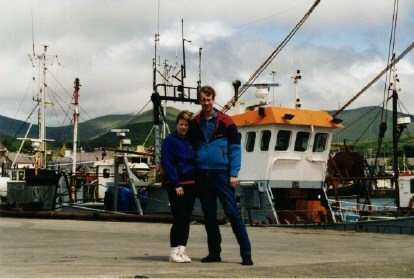 First a personal picture in the harbour of Dingle, the main town on the Dingle Peninsula. 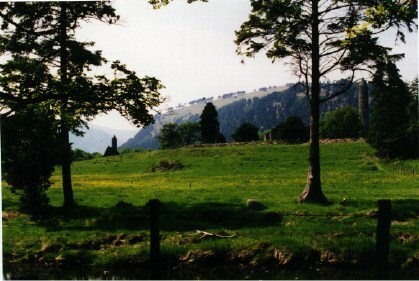 Second, the 'postcard' of the snapshots: the monestry of Glendalough.